Need a change in mood? Step inside the Sensory Sack and streeeeetch! 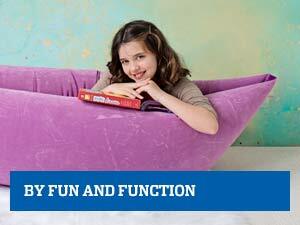 The smooth, stretchy material provides the deep pressure that sensory-seeking kids crave. 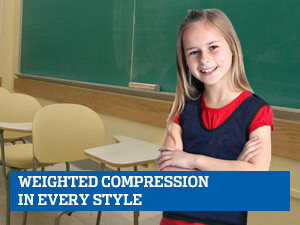 You’ll get soothing compression and resistance around your whole body. The movement tool helps children learn spatial awareness and relax. 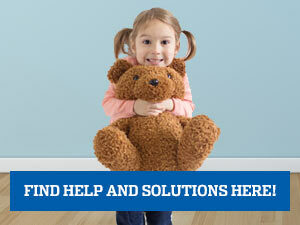 Helps kids learn to self regulate and transition from hyper to calm, from sad to happy, from distracted to alert. Just climb in, stretch, crawl, move, roll and relax for calming sensory integration therapy. When you’re feeling overwhelmed, climb inside and pretend you're in a dark cave. Sit down and wrap up for calming pressure and resistance. Not for use while sleeping. Use with adult supervision. Weighs approximately 1 lb. 5 oz. Purchasing a second one. My great granddaughter loves it and her first one has been lost. 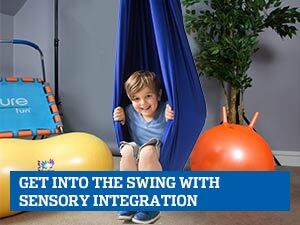 We love this fun and engaging tool to provide sensory input, creative movement, strengthening, motor planning, and something new for the kids to try. It's easy and portable and can be used for different activities as well as for calming when used in combination with a hammock swing. 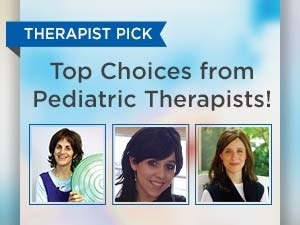 i would recommend this for any therapist working with various sensory processing issues. We love the sensory sack! All of my four children love the sensory sack! It really helps my ASD kiddos calm down and regulate themselves. There are so many ways to use the sensory sack it can be individualized for each child's needs. My son actually loves this product uses it a lot very calming for him and it’s easy to wash as well which is nice. It’s also something that is super easy to travel with as well! I would recommend this to anyone! It’s super stretchy! This item is roomy and can provide a break from the bright lights and noise in the environment. I work in schools and a student I work with has autism and is in regular classes most of the day. He can be overwhelmed at times. He gets in the sensory sack including his head while lying on the floor and stretches his arms and legs. The sensory sack blocks the visual and other stimuli AND provides him with resistive upper and lower body work, all of which is calming. For him it's the right piece of equipment. All my students seem to really enjoy this sack and it comes in handy when a child needs stimulation on a snow day. My son LOVES his new Sensory Sack. He's been bringing it back and forth to school daily, so I may have to buy an extra one to leave there. It's great for hiding over when he's overwhelmed, or "wrestling" with when he needs pressure. Awesome! My son just turned 4 and is moderately autistic. He likes the feel of the fabric and it feels well made. But being inside the sack is overwhelming for him and he panics if it covers his head. Since we tried showing him he could be inside of the sack it has made him a little uneasy but we catch him playing with it every day since we got it. He likes to check it out at his own pace. We originally bought it knowing he wasn't a fan of being in enclosed spaces but lately we catch him building blanket forts and hiding in boxes so we thought we would give it a try. If you are on the fence about it, just give it a whirl. Its a well made product and feels really, really nice to touch. Have no problems ... We ordered one of these before for our grandson and he lost it on a trip we took him on and he is so upset had to order another one. These sacks really help him. Our grandson cant do without this bag..When he needs calming he goes and raps up into this . We lost our first one and had to order another one. Thank goodness we found this sight . We do recommend this . Met my expectations and more. First night, even slept in it. Highly recommend product. All the kids enjoyed trying it on but jackpot for my 6 year old. Kids love it----and so do their caretakers...! My great nephew really liked the sack. His father put him in it and started swinging and you could hear the giggles. I'm sure he will have many pleasant times with the sack. The Sensory Sack is a big hit with our 12 yr old severely Autistic grandson. We've just gotten this, and my son has just started using it, but so far he loves it. It seems to give just the right amount of resistance. The first time my son tried this was at school where the teacher had it from another parent whose child has sensory issues. She asked my son to check it out. He got in and immediately asked if he could use it in a specific situation that normally causes him a lot of stress. I was so impressed that he immediately identified how this could help him. Of course, I went home and got him one. Very stretchy and so far, my son hasn't destroyed it. My nephew LOVES this product. It hugs him, he can hide in it, he can just cuddle up when he feels anxious. It is perfect for us. This this has been an amazing help for us! My son (6 years old, dx ASD at age 2), has a very difficult time keeping his body calm and staying organized. He LOVES to get wrapped up in the Sack and stretch his body against the fabric. After a particularity harrowing outing, he came home and went straight for it. He wrapped himself up and did not come out until he was calm. The sack is a little big for my 4 year old, but he still enjoys it. Makes a nice hiding place for him. Good quality, nice stretchy fabric. My son, 12, loves this! He can become very tense, anxious, and frustrated during homeschool and doing school work. He covers his head and stretches his body out inside the Sack. This item takes care of his sensory needs and helps him to relax. We are very glad to have it. My other son wants one too! My son struggles with managing his anxiety disorder on top of his sensory processing disorder which is challenging as he's faced with too much stimuli every day. This sensory sack is wonderful for him as it provides a little haven where he can curl up and relax as it provides him with constant calming pressure. He will sit in it to watch TV, read, at the computer and he will use it as he stretches and scoots along the floor. We love it! this a little to big for my son right now but that means we will get to use it even longer but he loves it because its like a tent to him and he LOVES that!! and i know once he is a little bigger he will enjoy it more!! No need for instructions on this item! I handed one to the kids and they immediately crawled in it and took turns playing "guess what I am"? One thought she transformed from a caterpillar into a worm, another was a super hero and another wanted to mummify himself and go to sleep! Great transformer sack! What a great way to calm down. We love this sack. Our kids can stretch and move in it but they also like to snuggle down into it and shut out the world around them. It's perfect to use anytime. What a great name too! Another great item for our kid's active imagination! Little do they realize they are getting some heavy work in while pushing and and pulling, tugging and stretching. So much fun... one of the boys wants to sleep in it! How do you know what size to buy? Choose the size closest in length to the users height. is this a breathable fabric should my child get wrapped up but continues to want to stay inside of? It's made of breathable Spandex material, so it's great for children older then age 4 to stay inside and cuddle.